It'll be in the app store soon. I've been working on this slowly for a while, on and off. Fixed streetcar arrivals on Harrison. 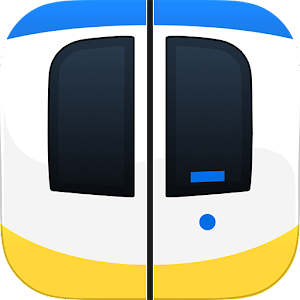 Fixed location search so that stops that are both bus and rail stops are correctly filtered. New icon from Rob Alan. 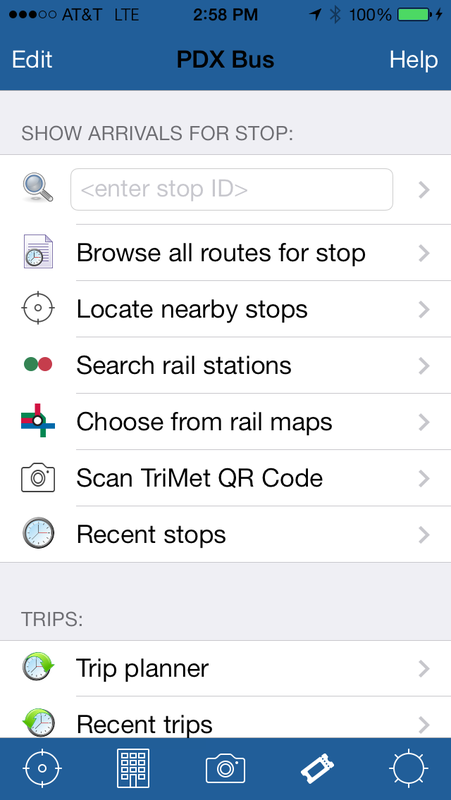 Added support to launch TriMet Tickets App. Added warning for flashing light. Many toolbar icons are now optional - see settings. Large bus line identifier now rotates on iPhone. Disabled screen rotation on old iPads as it did not fully work. Added rail map toolbar button to station list screen. Check the app store to see if it's there! J Booth wrote: I just updated my iphone 4 to IOS 7. 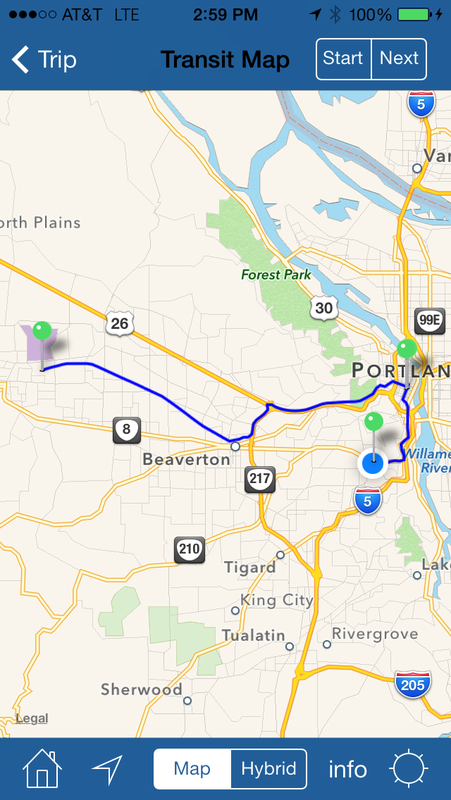 I automatically updated my pdxbus.teleportaloo app to IOS 8. I need the IOS 7 App and updates to IOS 7.9. Anyway to obtain the IOS 7 versions? Response: The app store automatically will install the latest version of the app compatible with the OS installed. 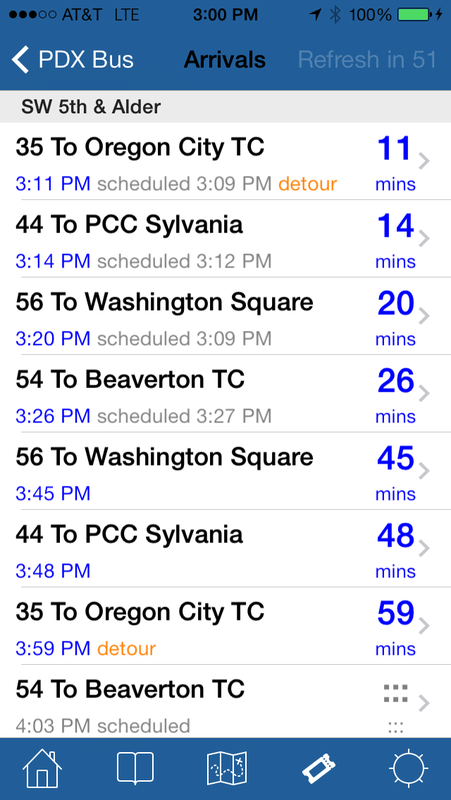 PDX Bus version numbers do no match the OS version. Is there a problem with the app loading?